When U.S. Rep. John R. Lewis was a child in Alabama, he was puzzled by the evidence that he saw around him of the South’s Jim Crow laws — segregated rest rooms, segregated movie theaters. He wanted to know why that should be. His mother discouraged his curiosity, saying, “Don’t get in the way. 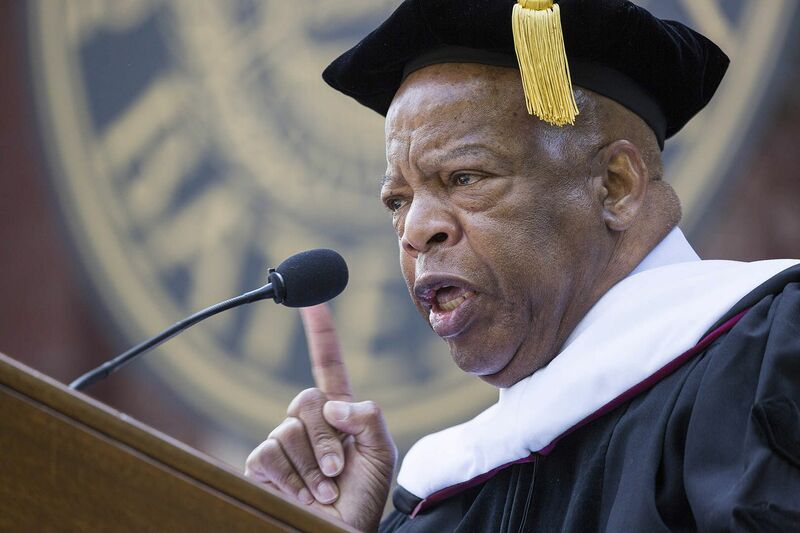 Don’t get in trouble.” But, as Lewis told the audience at Bates College’s 150th Commencement on May 29, he went in the other direction instead. “I was inspired to get in trouble. I was inspired to get in the way.” It was that attitude — along with the example of the Rev. Martin Luther King Jr. — that made Lewis a true hero of the civil rights movement, a man whose personal story is virtually a history of the movement. 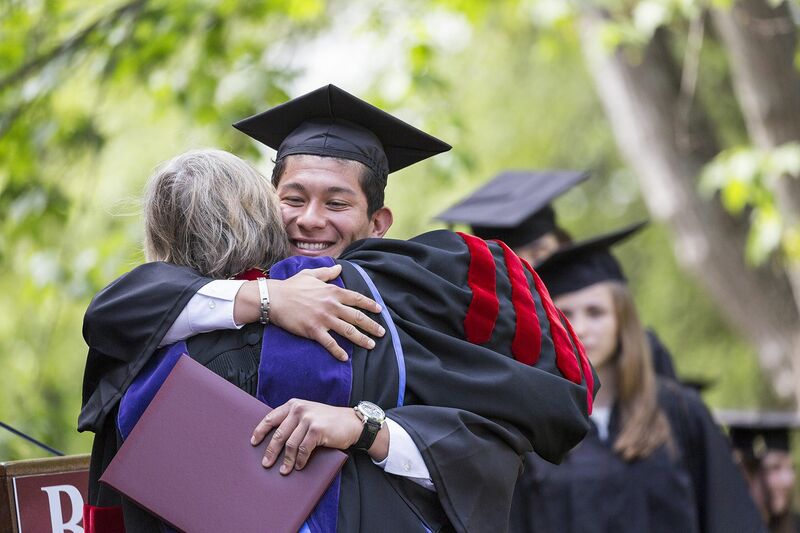 Inspiriting, droll, and captivating, Lewis’ address to the Class of 2016 was the centerpiece of a Bates Commencement that also included goodbyes to two members of the class who passed away too young. 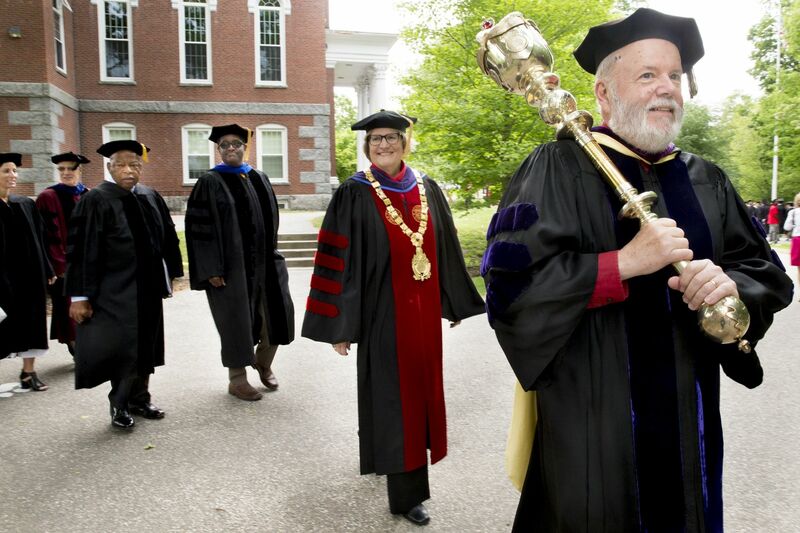 Lewis was one of four recipients of honorary degrees during the ceremony, along with best-selling author Lisa Genova ’92 (Still Alice); psychologist and renowned happiness researcher Daniel Gilbert; and Robert Witt ’62, the highly successful chancellor of the University of Alabama System. Spencer also offered information, less personal but more meaningful, of the class graduating Sunday. 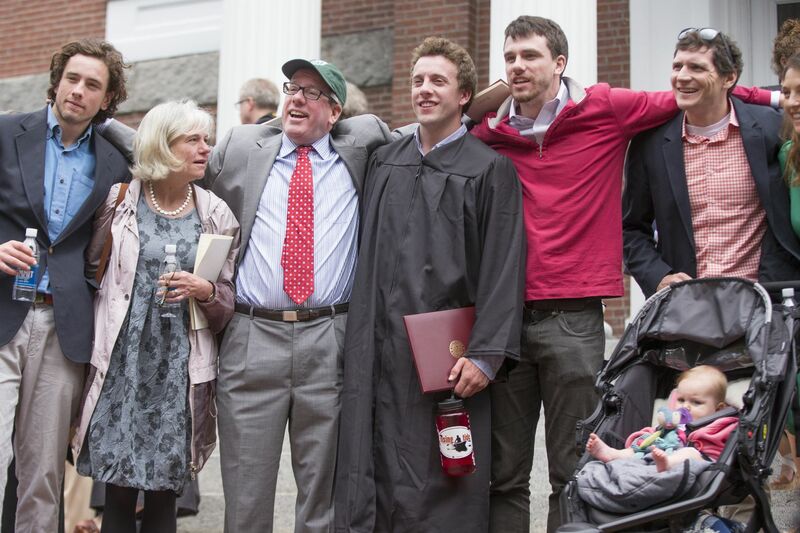 The 462 members of the Class of 2016 included three triple majors, 42 students who completed an honors thesis, and 18 who have won a combined 41 All-NESCAC honors while at Bates. She noted that the class included 11 recipients of Fulbright fellowships, two Watsons (both from Alaska), and two more of the Davis Project for Peace Award. A dynamic speaker, Lewis dedicated most of his time to autobiographical episodes intended as inspiration and exhortation for the Bates students. But he began by recognizing the role of a founding father of the modern civil rights movement — the Rev. Benjamin E. Mays, Class of 1920 — and Bates’ role in shaping that civil rights theorist and King mentor. Typical of Lewis’ humor was the story he told about raising chickens on his parents’ farm in Alabama. Wanting to be a minister, he’d preach to the birds in the chicken yard while his siblings and cousins watched. 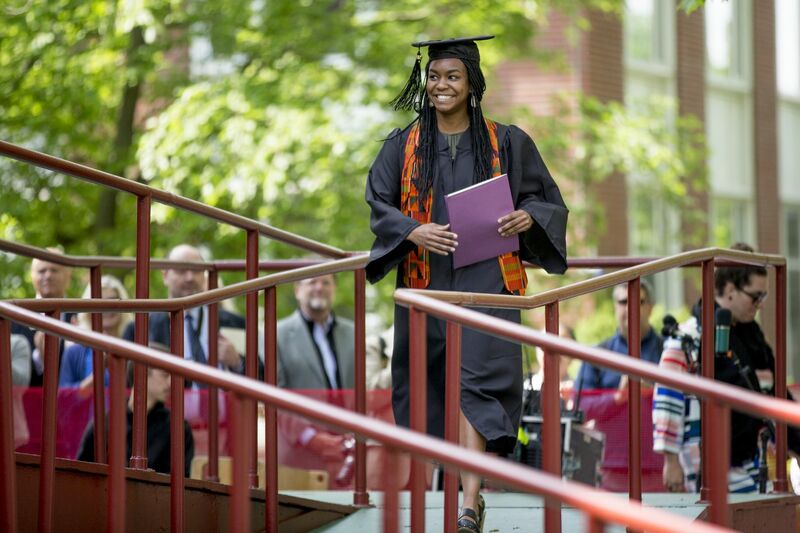 Senior speaker Shannon L. Griffin of Philadelphia devoted her talk to the power of questions and the power of the Bates community. When she was younger, “I stopped asking questions out of fear of being perceived as incompetent. It had terrible consequences, such as me confusing Nair hair remover for body lotion, because I was too stubborn to ask. That day I lost every piece of hair on my body. “Our class left that evening, pondering what would we do for others. Would we be brave enough to speak up in the face of injustice? Congressman John Lewis, an American hero and civil rights leader, is here today as I continue to reflect on that question. 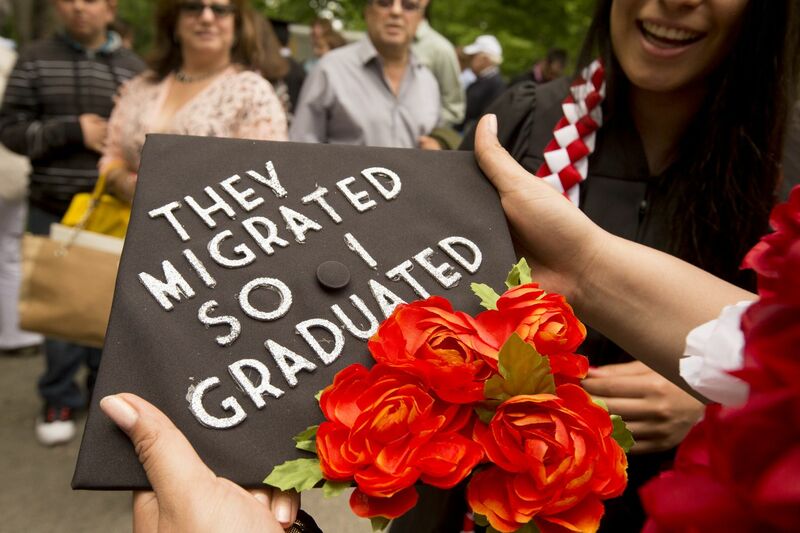 The Commencement Choir, directed by Lecturer in Music John Corrie, sang Stephen Paulus’ “The Road Home”; and class gift co-chairs Rebecca C. Dobbin of New Canaan, Conn., and Katherine M. Kaplan of Boston, announced that the Class of 2016 had donated $8,456 to the college. Three hundred and forty-nine students, or 76 percent of the class, contributed to the gift — beating the participation goal by six percentage points.